Products / August Box - Limited Quantity! Free Shipping in the US! Our focus for August is setting intentions to create harmony. 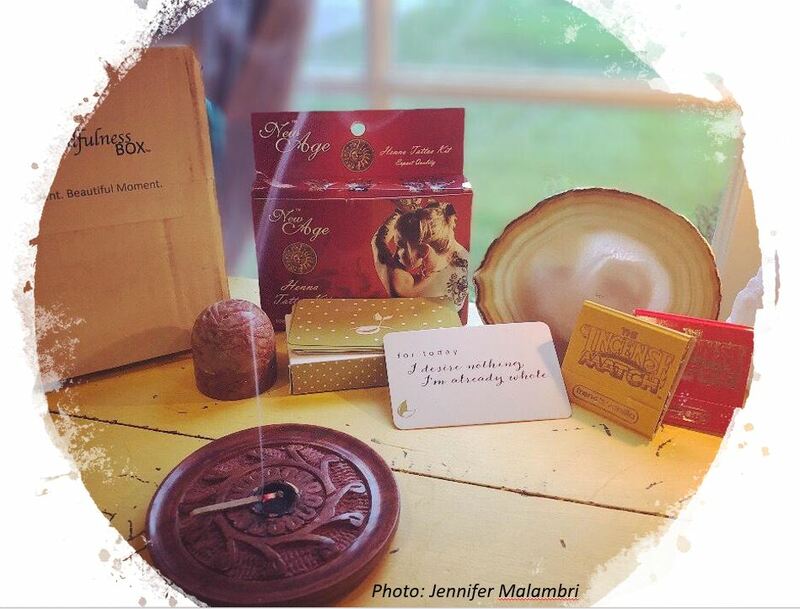 Includes a beautiful agate slice, Seeds of Intention Card Deck, Henna Kit, Warm Vanilla Scent perfume in soapstone and incense matches! Get yours before they're gone!